3 stages simple purifying system, it can be removed dirt, sands, rust particles and improve taste. Water Purifier system, 3 stages 1). 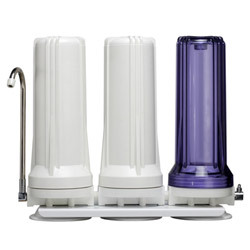 10" White housing+ PP 1M * 2 stages and 1 stage water purifier system are available.